British Prime Minister Theresa May speaks to the press after a meeting with the President of the European Council, in Brussels, on Feb. 7, 2019. 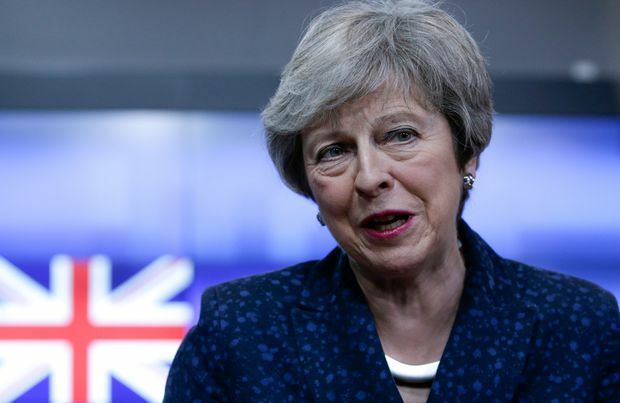 The political manoeuvring comes amid strong signs that uncertainty over Brexit is already clamping down on Britain’s economic growth. The Office for National Statistics said the British economy grew by a quarterly rate of only 0.2 per cent during the fourth quarter, down from the 0.6 per cent uptick recorded in the previous three-month period. In the fourth quarter, British business investment fell 1.4 per cent for the fourth straight quarterly decline – the first time that has happened since the 2008 financial crisis.